The build up of dead skin can block pores, creating acne and blemishes. A good body scrubbing removes dead skin from your body. This means that body scrubs work to help clear skin all over your body. By gently rubbing a body scrub into your skin, the body scrub removes dead skin cells, dirt and oil. For the best results a scrub should be done two to three times a week, rubbing and massaging in a circular motion. This is the most effective as it helps to free ingrown hairs and is less abrasive than a back and forth movement. 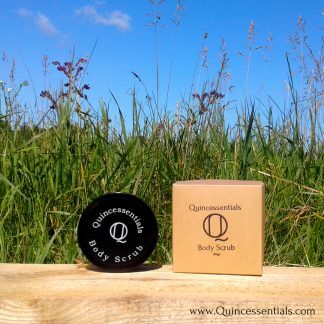 Sugar scrubs like Quincessentials Body Scrub are gentler than salt scrubs because the granule is round and therefore doesn’t have any ability to “cut” the skin. It’s a far better choice for sensitive skin types and the only choice for the face. Sugar granules dissolve more easily in hot water, and they are less abrasive than salt scrubs. 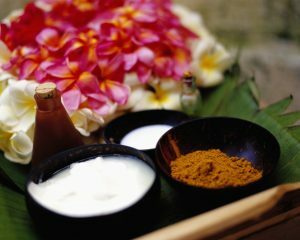 Not all body scrubs are good for you or the environment. Some (big brand) body scrubs contain harmful chemicals and even use small plastic beads as the exfoliating agent. 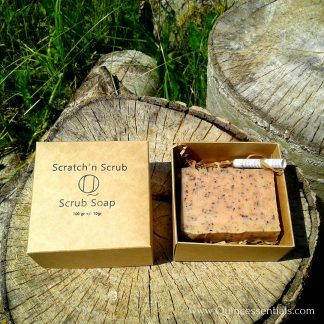 You want a natural body scrub like Quincessentials Body Scrub or our Scratch’n Scrub Soap Bar. Our products won’t harm you or the environment.